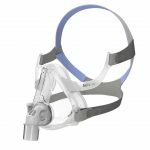 A stable, lightweight nasal mask with out the forehead gear to obstruct vision. 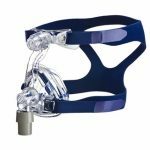 F10 (Full Face) – A strong, stable but light full face mask without the intrusive forehead pads of previous Full Face Masks. The Swift™ FX is soft, light and simple. It feels like it’s barely there! Minimal contact on the face and unobtrusive design make therapy less intimidating and easy to accept. 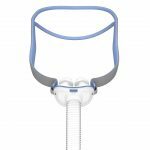 Dr Sleep Right – The nasal pillow masks are not in your line of vision which makes the mask feel less claustrophobic Is also a great mask for patients with facial hair. Streamlined and unobtrusive, the Mirage FX is the most comfortable, lightweight over the nose option. The mask is easy to fit and comes in Standard, Wide, For her and Small options. 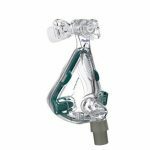 With only four parts, including headgear, you’ll also save time on cleaning and maintenance. 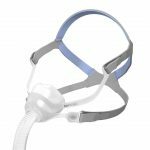 Dr Sleep Right – A very comfortable mask based on patient feedback. A lot lighter and quieter. Sizing, fitting and sealing Quattro FX is fast and straightforward. The Quattro FX covers the nose and the mouth which is great for mouth breathers. 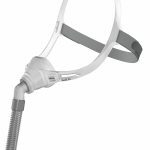 Dr Sleep Right – A great Full Face mask as nothing is in line of vision. Very light and a great back-up mask for patients when they have a cold. Our newest Full Face Mask. A lot lighter and more comfortable on the face. 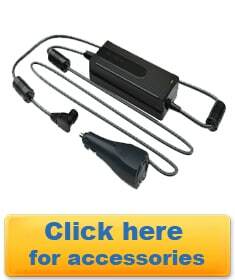 Its unique cushion features an ‘active cell’ that expands and contracts to suit user movements and therapy pressure changes throughout the night. The mask feels as though it’s drawn to the face—gently, yet securely, creating an unwavering seal. Dynamic cushion and MicroFit™ dial combination which enables more custom fitting. Dr Sleep Right – An Older model but still a beauty, While it is a bit bigger the adjustable cushion allows more comfort and easier fitting. 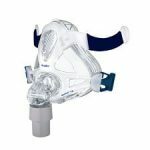 The Mirage Quattro is a sturdy full face mask. It has multiple adjusting fields allowing to be customised to your face. Is ba comfortable well sealing Full Face mask. Dr Sleep Right – Another older model mask which we occasionally fall back on. Very reliable with its multi-positional technology. 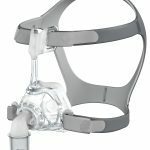 Which mask is best suited for me? You are best off to trial the masks before you buy. If you have facial hair the Swift FX is not affected by this. 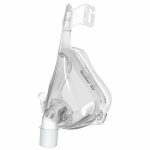 Nasal masks are generally more comfortable for those who can tolerate them as there is less surface area to the mask, thus less pressure required and less margin for error. However some people need the full face mask. 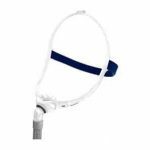 Chin straps are another viable option in helping with the effectiveness of your mask.